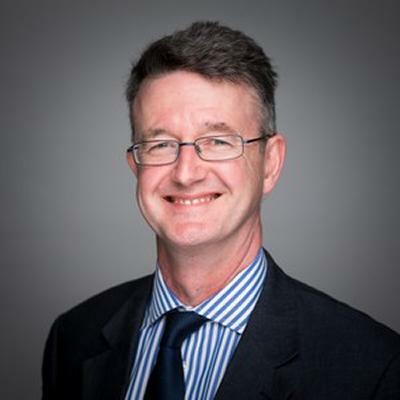 Professor Nigel Arden is Professor in Rheumatic Diseases within Medicine at the University of Southampton. Professor Arden trained at St Thomas’s Hospital, London, where he also completed four years of research into the genetics of osteoporosis. During this time, he gained an MSc in Epidemiology and an MD. He moved to the South Coast in 1996 and in 1998 spent six months as Visiting Assistant Professor in Epidemiology at the University of San Francisco. In 2000 he commenced his post as Senior Lecturer in Rheumatology and Honorary Consultant Rheumatologist at Southampton University NHS Trust. In 2008, he became a Professor in Rheumatic Diseases at Southampton University and also commenced an appointment with the University of Oxford to develop a joint research department between the two universities of Oxford and Southampton. He is based jointly at the Medical Research Council Epidemiology Resource Centre, Southampton and the Botnar Research Centre, Oxford; where he continues his research into osteoarthritis and osteoporosis. His clinical interests include all aspects of the rheumatic diseases; however he has special interests in osteoporosis, with particular emphasis on bone disease in patients with cystic fibrosis and inflammatory bowel disease. He additionally has a strong interest in the management of patients with osteoarthritis. Research interests focus on the epidemiology of osteoarthritis and osteoporosis. Based in the Botnar Research Centre with additional sessions at the MRC Lifecourse Epidemiology Unit at the University of Southampton. The programme has several major strands: (a) the intrauterine and genetic origins of osteoarthritis, osteoporosis and vitamin D metabolism; (b) the descriptive epidemiology of osteoarthritis and lower limb arthroplasty and (c) clinical trials in the management of common musculoskeletal conditions. Expanding research programmes are based around: (a) the complex genetic and environmental influences on osteoarthritis and more importantly their interaction (in collaboration with UCSF and the University of Oxford): (b) the epidemiology of knee and hip osteoarthritis; (c) the epidemiology and survival of total joint replacements in osteoarthritis: (d) the role of bone in the pathogenesis of osteoarthritis; (e) translational research in the form of a number of clinical trials in osteoarthritis. Further plans to clarify the risk factors for the incidence and progression of osteoarthritis, both radiographic and symptomatic, using a collection of large cohort studies. This work is funded by a large NIHR Biomedical Research Centre grant. A rapidly developing area of research is the epidemiology of joint arthroplasty. An NIHR Programme grant has been awarded aiming to accurately define the predictors of a successful arthroplasty and its cost effectiveness. It will also produce an accurate and comprehensive risk prediction model for the success of joint arthroplasty. The programme exploring the association between bone and osteoarthritis has two specific components: a) the effects of general bone size and density and, b) the effects of sub-chondral bone. We have shown that the association between systemic bone density and osteoarthritis is mainly driven by bone size and new data suggest the importance of bone shape. Further work in our existing cohorts using computerised tomography and conventional radiographs will further explore this important area of research. We will explore the role of sub-chondral bone using MRI and DXA in the VIDEO study, a large randomised trial of vitamin D in patients with OA. Its effect on the success of joint arthroplasty will be explored in the Oxford arthroplasty cohorts. A number of randomised controlled trials in patients with osteoarthritis have been completed. The current largest study is a three-year trial of the vitamin D supplementation in patients with knee osteoarthritis. As well as determining the role of vitamin D, this study will provide insight into the important mechanisms involved in determining disease progression including: the calcium / vitamin D axis; muscle function; bone mineral density and genetic factors. Published studies have demonstrated for the first time that the calcium/vitamin D axis can be permanently modified by subtle changes in the early environment. Furthermore, these changes are probably involved in mediating the effects of the early environment on the risk of developing osteoporosis. Studies in our cohort of children have demonstrated that maternal vitamin D concentrations and neonatal calcium concentrations at birth have significant effects on a child’s peak bone mass achieved during childhood, a finding which stimulated a large multi-centre grant application for a trial of vitamin D supplementation during pregnancy, which is successfully proceeding through the funding process. In our adult cohort we have demonstrated, for the first time, a significant interaction between birthweight and genetic factors (vitamin D receptor gene). Current studies are characterising the interaction between the genome and early environment in the origins of osteoporosis, an important and essential step in combining the important progress achieved in each if these exciting fields. This is being performed in several cohorts: a) 2 cohorts of children exploring the effects on the acquisition of peak bone mass; b) cohort of elderly men and women exploring the effects on bone loss and fracture and (c) a randomised controlled trial of vitamin D supplementation in pregnancy. This will allow us to explore the role of several environmental factors, but focussing on vitamin D, in mediating the effect of the early environment on BMD. A strong research interest in maintained in secondary osteoporosis. A large cohort of patients with inflammatory bowel disease to assess the rates and mechanisms of bone loss is being followed. We will uniquely use computed tomography in this group of patients to characterise accurately cortical versus trabecular bone loss. A similar cohort is being set up in adult patients with cystic fibrosis. Collaboration with a number of local, national and international units to perform epidemiology studies within the fields of: rheumatoid arthritis, vasculitis, obesity and vitamin D metabolism. To date the team at Southampton have led the development and validation of imaging techniques to uniquely determine the longitudinal epidemiology of forefoot complications in patients with rheumatoid arthritis (RA). This provides a substantial basis of expertise to develop work in this area, utilising improved technologies to address the unmet clinical burden of RA disease. A targeted intervention for forefoot complication in patients with RA will be necessary however there is currently limited evidence on which to tailor intervention to individual patients. As such the proposed research will use new generation US technology to facilitate patient assessment, within a community setting, in real time, the results of which will be used to inform a personalised medical approach to management. Utilising an established Clinical Outcomes in Arthroplasty Study (COASt) cohort that is currently led by Professor Nigel Arden at both Southampton and Oxford sites; our aim is to determine whether clinical foot and ankle measures are useful in predicting patient reported outcomes following Total Knee Replacement (TKR). It has been recognized that osteoarthritis (OA) of the foot may have a detrimental effect on patients’ health related quality of life and that foot OA may cause significant morbidity.The specific aims of this research are to develop a detailed understanding of the epidemiology, risk factors and associations of OA occurring within the feet in the general population at middle and older age. An additional aim is to determine lower limb biomechanical factors associated with radiographic foot OA. Previously successful supervision of one PhD student, one MD student and one Research Master’s student who have now all successfully been awarded their degrees. Currently supervising two PhD students who are Allied Health Professionals in the field of Podiatry and Physiotherapy as well as three DPhil students within the Botnar Research Centre. Currently supervises a number of junior medical staff for all aspects of their clinical research, including study design, statistical analysis and the production of clinical abstracts and full papers. Regular examiner at the University of Southampton for 1st year, 3rd year and 5th year written courses and also regularly examined on OSCE stations. Five PhD theses to date. External examiner for the School of Medicine at the University of Nottingham from 2004 to 2007. Arthritis Research UK Pain Centre Advisory Board, University of Nottingham. Ferguson, R., Culliford, D., Prieto-Alhambra, D., Pinedo-Villanueva, R., Delmestri, A., Arden, N., & Bowen, C. (Accepted/In press). Observations of foot and ankle pain encounters reported by GPs in the UK, 2010-2013. British Journal of General Practice. Warner, S. C., Walsh, D. A., Laslett, L. L., Maciewicz, R. A., Soni, A., Hart, D. J., ... Valdes, A. (Accepted/In press). Pain in knee osteoarthritis is associated with variation in the neurokinin 1/substance P receptor (TACR1) gene. European Journal of Pain, 1-18. Davies, M. A. M., Balai, E., Adams, J., Carter, J-H., Judge, A., Newton, J. L., & Arden, N. K. (Accepted/In press). The consultation of rugby players in co-developing a player health study: feasibility and consequences of sports participants as research partners. Research Involvement and Engagement. Kendal, A. R., Prieto-Alhambra, D., Arden, N. K., Carr, A., & Judge, A. (2016). Mortality rates at 10 years after metal-on-metal hip resurfacing compared with total hip replacement in England. British journal of sports medicine, 50(3), 187. DOI: 10.1136/bjsports-2014-f6549rep. Bayliss, L. E., Culliford, D., Monk, A. P., Glyn-Jones, S., Prieto-Alhambra, D., Judge, A., ... Price, A. J. (Accepted/In press). Quantifying effect of age on the risk of revision following hip and knee replacement using life-time risk estimates: an analysis of 117,438 total joint replacements from the UK Clinical Practice Research Datalink. Lancet, 1-31.
van Middelkoop, M., Arden, N., Atchia, I., Birrell, F., Chao, J., Rezende, M. U., ... Bierma-Zeinstra, S. M. (2016). The OA Trial Bank: meta-analysis of individual patient data from knee and hip osteoarthritis trials show that patients with severe pain exhibit greater benefit from intra-articular glucocorticoids. Osteoarthritis and Cartilage, 24(7), 1143-1152. DOI: 10.1016/j.joca.2016.01.983. Gates, L. S., Bowen, C. J., & Arden, N. K. (2015). Clinical measures of musculoskeletal foot and ankle assessment: an international consensus statement. International Journal of Health Sciences and Research (IJHSR), 5(2), 91-105. Birch, C., Hunter, D., Arden, N., Mellor, F., & Cherry, L. (2014). Development of a novel imaging process to determine the clinical applicability of bone mineral density assessment of the osteoarthritic knee: a research proposal. Working Papers in the Health Sciences, 1(9), 1-7. Barbosa Boucas, S., Hislop, K., Dziedic, K., Arden, N., Burridge, J. H., Hammond, A., ... Adams, J. (2013). Defining optimal NHS occupational therapy treatment, individualized splint and placebo splint for patients with thumb base OA: a Delphi study. Rheumatology, 52, i105-i105. Barbosa Boucas, S., Hislop, K., Dziedzic, K., Arden, N. K., Burridge, J. H., Hammond, A., ... Adams, J. (Accepted/In press). Differences between service providers and users when defining feasible optimal NHS occupational therapy treatment for patients with thumb base OA: results from a Delphi study. Annals of the Rheumatic Diseases, 72(S3), 779-780. Hiligsmann, M., Cooper, C., Arden, N., Boers, M., Branco, J. C., Luisa, B. M., ... Reginster, J. Y. (2013). Health economics in the field of osteoarthritis: an expert's consensus paper from the European society for clinical and economic aspects of osteoporosis and osteoarthritis. Seminars in Arthritis and Rheumatism, 43(3), 303-313. DOI: 10.1016/j.semarthrit.2013.07.003. Soni, A., Batra, R. N., Gwilym, S. E., Spector, T. D., Hart, D. J., Arden, N. K., ... Javaid, M. K. (2013). Neuropathic features of joint pain: a community-based study. Arthritis & Rheumatism, 65(7), 1942-1949. DOI: 10.1002/art.37962. Arden, N. K., & Leyland, K. M. (2013). Osteoarthritis year 2013 in review: clinical. Osteoarthritis and Cartilage, 21(10), 1409-1413. DOI: 10.1016/j.joca.2013.06.021. Kynaston-Pearson, F., Ashmore, A. M., Malak, T. T., Rombach, I., Taylor, A., Beard, D., ... Glyn-Jones, S. (2013). Primary hip replacement protheses and their evidence base: systematic review of literature. British Medical Journal, 347, f6956-[11pp]. DOI: 10.1136/bmj.f6956. Patel, M. B., Makepeace, A. E., Jameson, K. A., Masterton, L. M., Holt, R. I., Swaminathan, R., ... Arden, N. K. (2012). Weight in infancy and adult calcium absorption as determinants of bone mineral density in adult men: the Hertfordshire cohort study. Calcified Tissue International, 91(6), 416-422. DOI: 10.1007/s00223-012-9648-8. Harvey, N. C., Javaid, M. K., Arden, N. K., Poole, J. R., Crozier, S. R., Robinson, S. M., ... Cooper, C. (2010). Maternal predictors of neonatal bone size and geometry: the Southampton Women's Survey. Journal of Developmental Origins of Health and Disease, 1, 35-41. Zhai, G., Spector, T., Wang-Sattler, R., Illig Thomas, P. D., Hart, D., & Arden, N. K. (2010). Serum BCAAs to histidine ratio: a novel metabolomic biomarker of knee osteoarthritis. Annals of the Rheumatic Diseases. Allen, R. P., Beacroft, J., Bowen, C. J., Gay, A., Hooper, L., Burridge, J. H., ... Arden, N. K. (2009). A controlled study of plantar foot pressures in patients with rheumatoid arthritis. Rheumatology, 48(Supplement 1), 331-[i28]. Bowen, C. J., Culliford, D., Dewbury, K., Sampson, M., Burridge, J. H., Edwards, C. J., & Arden, N. K. (2009). Investigation of the natural history of forefoot bursitis detected by musculoskeletal ultrasound and predictors of its change after one year. Rheumatology, 48(Supplement 1), 336-[i132]. Earl, S., Cooper, C., & Arden, N. (2008). Osteoarthritis: 'programming' by the early environment. Rheumatology in Practice, 6(1), 4-7. Bowen, C. J., Backhouse, M., Burridge, J. H., & Arden, N. K. (2007). Observations of in-shoe plantar pressures in patients with rheumatoid arthritis. Rheumatology, 46(4 (Supplement)), i155. Edwards, C. J., Cooper, C., Fisher, D., Field, M., Van Staa, T. P., & Arden, N. K. (2007). The importance of the disease process and disease-modifying antirheumatic drug treatment in the development of septic arthritis in patients with rheumatoid arthritis. Arthritis care and research, 57(7), 1151-1157. Bowen, C. J., Dewbury, K., Sampson, M., Sawyer, S., Bennet, S. P., Burridge, J. H., ... Arden, N. K. (2006). Bursitis of the foot: a common and under diagnosed problem in patients with rheumatoid arthrtis. Rheumatology, 45(4 (supplement)), i95. Bowen, C. J., Dewbury, K., Sampson, M., Sawyer, S., Bennet, S. P., Burridge, J., ... Arden, N. K. (2006). Inter-observer reliability of a podiatrist and radiologist: results of ultrasound imaging of the plantar forefoot in patients with rheumatoid arthritis. Rheumatology, 45(Supplement 1), p.i184. Arden, N. K. (2006). Touching a raw nerve. The management of sciatica. Arthritis Today, 133, 23-24. Jordan, K. M., Syddall, H. E., Dennison, E. M., Cooper, C., & Arden, N. K. (2005). Birthweight, vitamin D receptor gene polymorphism, and risk of lumbar spine osteoarthritis. Journal of Rheumatology, 32(4), 678-683. Price, C., Arden, N. K., Coglan, L., & Rogers, P. (2005). Cost-effectiveness and safety of epidural steroids in the management of sciatica. Health Technology Assessment, 9(33), 1-58,iii. Zhang, W., Doherty, M., Arden, N., Bannwarth, B., Bijlsma, J., Gunther, K-P., ... Dougados, M. (2005). EULAR evidence based recommendations for the management of hip osteoarthritis: report of a task force of the EULAR Standing Committee for International Clinical Studies Including Therapeutics (ESCISIT). Annals of the Rheumatic Diseases, 64(5), 669-681. Strivens, R. L., Bateman, A., Arden, N. K., & Edwards, C. J. (2005). Intestinal perforation and jejunal haemorrhage due to Wegener's granulomatosis. Clinical and Experimental Rheumatology, 23(1), 124-124. Bowen, C. J., Burridge, J., & Arden, N. K. (2005). Podiatry interventions in the rheumatoid foot. British Journal of Podiatry, 8(3), 76-82. Javaid, M. K., Arden, N., & Cooper, C. (2004). Association of birth weight with osteoporosis and osteoarthritis in adult twins. Rheumatology, 43(3), 401. Trebble, T. M., Arden, N. K., Wootton, S. A., Calder, P. C., Mullee, M. A., Fine, D. R., & Stroud, M. A. (2004). Fish oil and antioxidants alter the composition and function of circulating mononuclear cells in Crohn disease. American Journal of Clinical Nutrition, 80(5), 1137-1144. Arden, N. K., & Cooper, C. (2003). Assessment of the risk of fracture in patients with gastrointestinal disease. European Journal of Gastroenterology & Hepatology, 15(8), 865-868. Trebble, T. M., Wootton, S. A., Miles, E. A., Mullee, M., Arden, N. K., Ballinger, A. B., ... Calder, P. C. (2003). Prostaglandin E2 production and T cell function after fish-oil supplementation: response to antioxidant cosupplementation. American Journal of Clinical Nutrition, 78(3), 376-382. Arden, N. K., & Cooper, C. (2002). Osteoporosis in patients with inflammatory bowel disease. Gut, 50(1), 9-10. Arden, N. K., Major, P., Poole, J. R., Keen, R. W., Vaja, S., Swaminathan, R., ... Spector, T. D. (2002). Size at birth, adult intestinal calcium absorption and 1,25(OH)(2) vitamin D. QJM: An International Journal of Medicine, 95(1), 15-21. Walker-Bone, K. E., Javid, K., Arden, N. K., & Cooper, C. (2001). Glucosamine and chondroitin may help in osteoarthritis. BMJ, 322(7287), 673. Arden, N., & Cooper, C. (2005). Osteoarthritis Handbook. Informa Healthcare. Adams, J., Hislop, K., Hammond, A., Dziedzic, K., Gooberman-Hill, R., Stokes, M., ... Barbosa Boucas, S. (2014). Designing trials of complex occupational therapy with the involvement of patients and clinicians. Poster session presented at World Federation of Occupational Therapists Conference, Japan. Chumley, A., Petley, G., Edwards, C. J., Taylor, P., Mays, S., Sofaer Derevenski, J., ... Arden, N. K. (2004). Changes in hip geometry from medieval to modern times. Poster session presented at 26th Annual Meeting of the American Society for Bone and Mineral Research, .